The Assyrian Pentecostal Church (Syriac: ܥܕܬܐ ܕܐܚܘܢܘ̈ܬܐ ܦܢܛܩܘܣܛܝ̈ܐ ܐܬܘܪ̈ܝܐ‎, ‘Ittā d-Akhonāwāthā Pēnṭēqosṭāyē Ātūrāyē; Persian: کلیسای پنطیکاستی آشوری‎), is Reform Orthodox denomination began in ethnically Assyrian villages across the Urmia region in northwestern Iran, spreading to the Assyrians living in the adjacent cities, and from there to indigenous Assyrian communities in the Assyrian Homeland, northern Iraq, southeastern Turkey and northeastern Syria. The indigenous Assyrian people of ancient Assyria and Upper Mesopotamia had adopted Christianity in the 1st century AD, founding the Church of the East in Assyria and Osroene (see also: Assyria, Assyrian people and Assyrian continuity). 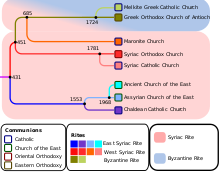 Those who converted to the Pentecostal Church (as well as the Assyrian Evangelical Church) in the 20th century were initially all members of the Assyrian Church of the East or its later 18th century CE offshoot, the Chaldean Catholic Church, whilst others had been members of the Syriac Orthodox Church or Ancient Church of the East (a 20th-century offshoot of the Assyrian Church). The vast majority of modern-day ethnic Assyrians remain adherents of these ancient indigenous Eastern Rite churches. The current church's doctrine and tradition is a continuation of the spiritual revival movements that took place in Western Iran during the 1930s. In 1940, with great diligence and personal sacrifice a young Assyrian pastor, named Tooma Nasseri began his evangelical ministry throughout Western Iran and built churches and established congregations in villages, towns, and major metropolitan cities in Iran. With the seed of Protestant Christianity planted, the Assyrian Protestant churches began to emerge throughout greater Iran in the 1950s. Currently, the Assyrian Pentecostal Church has several congregations in California, Illinois, Canada, Australia, Austria, and Iran. The Church is an affiliate with the Assemblies of God. Today, the church may have from 12 to 20 thousand adherents. The term Pentecostal is derived from Pentecost, or the Jewish Feast of Weeks, which commemorates the descent of the Holy Spirit upon the followers of Jesus Christ (Esho Mshexa in Assyrian Neo-Aramaic) as described in the Book of Acts, Chapter 2. Thus, the Church's name originates from the biblical passages contained within the Acts of the Apostles which refers to the day of Pentecost. The liturgical language spoken by the members, church choir, and the pastors is Assyrian Neo-Aramaic, a language descended from the Mesopotamian Aramaic introduced into the Assyrian Empire during the 8th century BC. Prayers and scripture are read and recited from a Syriac Aramaic Bible. Christmas: (Eda Surah) also referred to as Christmas Day, is an annual holiday celebrated on December 25 that commemorates the birth of Jesus Christ. Easter: (Eda Gurah) Assyrian Pentecostals celebrate Jesus Christs resurrection from the dead three days after his crucifixion, and celebrate this resurrection on Easter Day, or Easter Sunday, two days after Good Friday. Pentecost: (Yomit Pantacostayeh) Assyrian Pentecostals commemorate the descent of the Holy Spirit upon the Apostles and other followers of Jesus as described in the Book of Acts, Chapter 2. ^ Echo Institute (1970). Iran Almanac and the Book of Facts. 9. Echo of Iran. ISSN 0075-0476. Retrieved 2015-05-17. ^ Spellman, K. (2004). Religion and Nation: Iranian Local and Transnational Networks in Britain. Berghahn Books. p. 199. ISBN 9781571815767. Retrieved 2015-05-17. ^ "assyrianpentecostalchurch.org". assyrianpentecostalchurch.org. Retrieved 2015-05-17. ^ "Aramaic Bible Translation". aramaicbible.org. Archived from the original on 2015-05-31. Retrieved 2015-05-17. "Christmas," MSN Encarta. Retrieved October 6, 2008. Archived 2009-10-31 at WebCite 2009-10-31. ^ "Christmas", The Catholic Encyclopedia, 1913. ^ This resurrection is commonly said to have occurred "on the third day", including the day of crucifixion. ^ 'Easter Day' is the traditional name in English for the principal feast of Easter, used (for instance) by the Book of Common Prayer, but in the 20th century 'Easter Sunday' became widely used, despite this term also referring to the following Sunday. Echo Institute (1970). Iran Almanac and the Book of Facts. 9. Echo of Iran. ISSN 0075-0476. Retrieved 2015-05-17. This page was last edited on 7 April 2019, at 15:12 (UTC).